To download media presets, and to check compatibility with your HP Latex Printer, please visit the HP media locator website at hp.com/go/mediasolutionslocator. 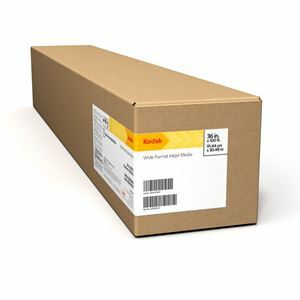 KODAK Premium Photo Paper, Glossy / 10 mil / Solvent is a true resin-coated photo paper that provides exceptional photo-quality reproduction. Engineered for low-solvent, solvent, latex and UV-curable printers, this versatile photo paper is economical, easy to handle in production and may be used for a variety of applications, including photographic reproductions, posters, indoor point-of-purchase and other display applications. Product is compatible with HP Latex inks and printers.